Yes, you read that headline correctly. Someone developed an iOS theme that makes your iPhone look like it’s powered by the Apple online store. It’s called “Apple Web OS,” and although you probably wouldn’t want to use it every day, it’s actually rather impressive. 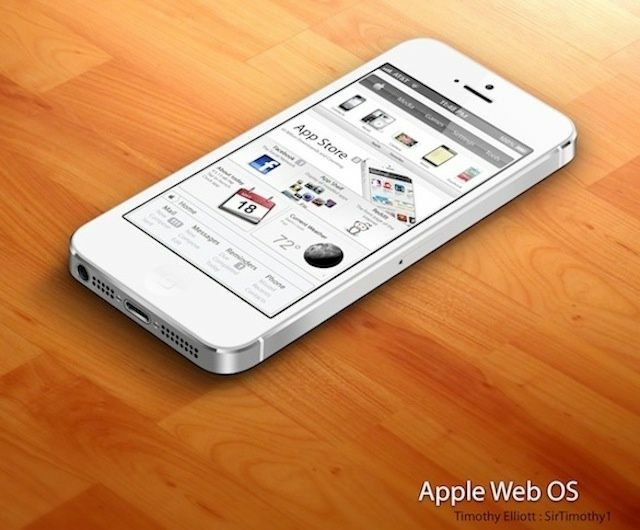 Created by Timothy Elliott, Apple Web OS replaces your home screen with what looks like a web page. Your icons are turned into product shots from the Apple online store, and instead of having different pages, you have different tabs labelled Media, Games, Settings, and Tools — each of which are customizable. It sounds crazy — and it is — but Elliott’s done a pretty great job, and the theme delivers a level of polish that you don’t often find with third-party themes. I’m not saying you’ll want to replace your existing theme with it, but I think you’ll be pleasantly surprised. 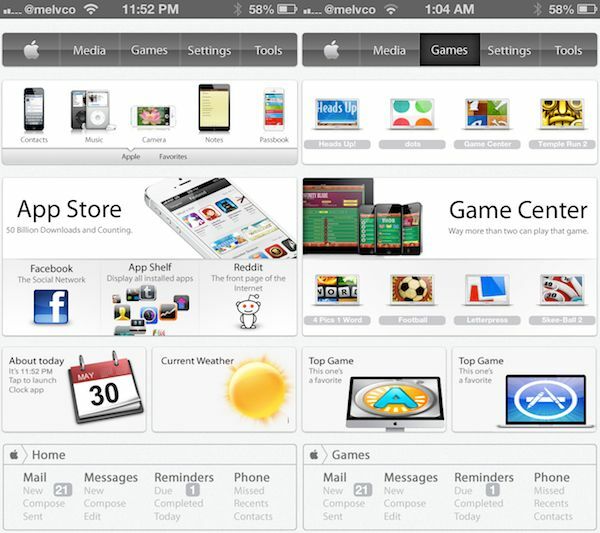 Apple Web OS is applied using DreamBoard, a WinterBoard alternative that’s much more user friendly. Once downloaded, it takes just a tap to apply the theme as you see it above — you don’t need to mess with a whole bunch of different tweaks. I’ve had the theme for a few days now, and I’ve discovered that I can’t leave it on for more than a few minutes without going nuts. Its ‘web store’ design makes it very hard to navigate, and almost impossible to find anything. If you’d like to try it out anyway, you’ll find Apple Web OS in Cydia’s ModMyi repository, and it’s completely free. Don’t forget you’ll need DreamBoard to apply it.